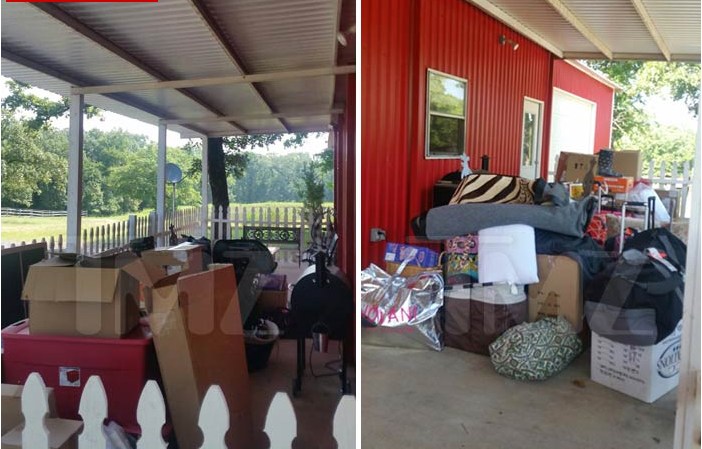 Country singer Miranda Lambert's things spotted on Blake Shelton's front porch. Blake Shelton is ridding himself of all things Miranda ... because he's removed all her junk from his Oklahoma home. Sources connected to Miranda confirm it is indeed her stuff that now sits on the front porch of Blake's Oklahoma ranch. It looks like every other garage sale in America, but some of those boots are worth real money. One source says Blake has been gone since he filed for divorce last week, and when a ranch hand told him Miranda hadn't removed her stuff, he ordered his staff to pack up her belongings and have it taken away in a U-Haul. As we previously reported, Miranda's moving to Nashville and Blake will stay on the ranch.